*Free Extra Wick Included* from Vermont Lanterns. We cannot guarantee authenticity from other sellers. Color: Green Latest model galvanized steel lantern, with high quality powder coat paintedfinish for increased rust resistance! The paint is heat and scratch resistant. Cold Blast Hurricane Lanterns work in all weather conditions, and burn 2xtimes brighter compared to standard table lamp of equal wick size. 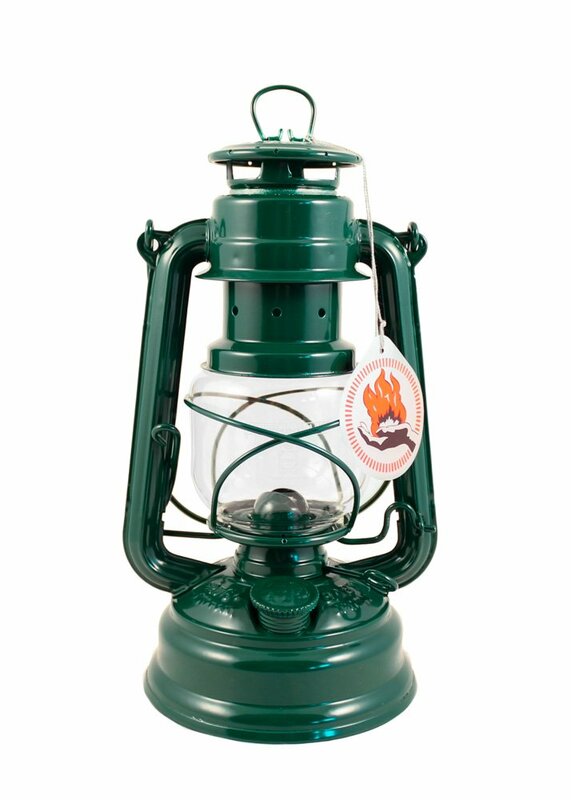 The FEUERHAND 276 hurricane lanterns are produced in Germany since 1902.Exceptional quality and finish, all parts including the glass are German made!A durable and versatile kerosene lantern. Great for emergency or ambientlight. Indoors, out on the patio, or camping the powder coat finish looks striking.Due to the special developed burner element there is no flickering and sootingfrom the flame. A special seal inside the tank ensures there is no risk ofleakage. Only the FEUERHAND hurricane lantern is equipped with the thermalheatresistant SUPRAX globes which will not crack even when touched by rain orsnow. Uses standard lamp oil. Fuel capacity: 10oz. Burn time: 20 hours. AverageCandle power: 7-8. 100% Made in Germany, top of the line quality!